How do you promote yourself as an artist or gallery owner? While you may be advertising in art magazines or putting up posters about your shows, that isn’t enough, especially if you want to attract a younger audience. No, today’s artists can only succeed if they’re got a strong understanding of social media. Social media has its own rules, so you can’t just take your analog advertisements and post them to Twitter. It’s important to adapt your style to suit your audience and your platform. 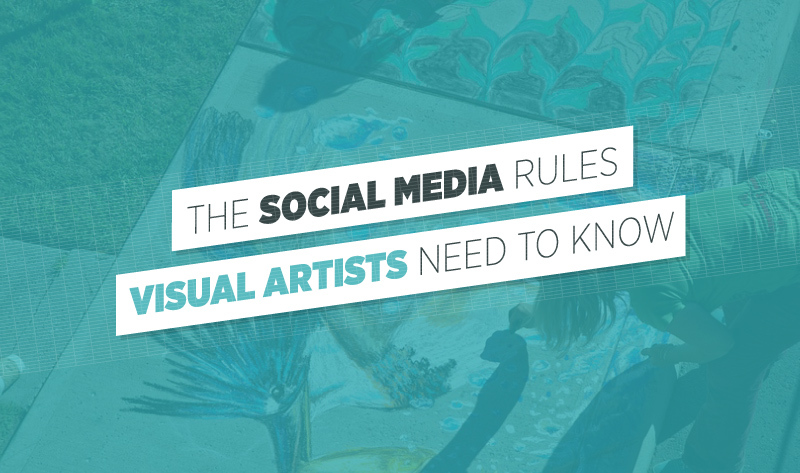 Here are the rules those in the art scene need to master to make a splash. Before you post anything to social media, you need to learn the general makeup of the different websites. Unless you understand these divisions, you won’t know how to target your advertising. Pinterest, which is ideal for visual posts, is 69% female users. Men, on the other hand, seem to gather on Google+. Much of what we appreciate about art is that there is a certain mystery to it - the artist goes away and creates something amazing, but the viewer doesn’t know how. And while the artist may appreciate maintaining this mystique, there’s also an advantage to promoting your art through real time events. This includes streaming a few hours of painting or sculpting or, for performance artists, streaming a performance for those not living in the area. YouTube is also a great tool for artists and gallery owners because it allows viewers to engage with artists and exhibitions any time they want to. Park West Gallery does an excellent job of this on their YouTube page, featuring interviews with artists in their studios, chats with collectors, and segments of exhibitions. For young people who can’t afford a plane ticket to that exciting event, this can be a real boon. Social media has also allowed us to expand the concept of art, something artists of all generations are taking advantage of. Among these artists are some serious tech enthusiasts - people like Helen Carmel Benigson, a rapper, installation artist, and Twitter star among her various roles. On the other end of the spectrum we find figures like Ai Weiwei, the Chinese dissident who has taken to forms of social media-based art to express his feelings about artificial intelligence and government surveillance. For Weiwei, art imitates and critiques life, a strategy that finds deep roots in pre-social media art forms as well. Depending on how well versed you are in social media - and if you aren’t, get a college age intern to teach you - artists and galleries can use these new formats in a variety of innovative ways. The main rules to follow are to build the basics - get a Facebook page, a Twitter account, and a Pinterest and Instagram account to display your work. You can expand out from there after you master these platforms. The other main rule of art and social media is to focus on image quality. Poor image quality implies you don’t care about your work. Viewers today have high standards and they know that current technology allows for better. Invest in proper photography, video, and scanning equipment. If you can’t afford it, share the cost with an artist friend. This is your career, so know that what you put in is what you get out, and that includes investing in the right technology in the current digital era.